“Members of the Saudi-led coalition have sought to avoid international legal liability by refusing to provide information on their role in alleged unlawful airstrikes in Yemen,” reads the Human Rights Watch report, published Friday. It added the group had urged the coalition to release data on their investigations and laws-of-war violations, to which it didn’t reply. Following the global condemnation, the coalition command admitted “a technical mistake” and claimed that “all post-action procedures” and “comprehensive review of selected military objects” were completed. With the spokesman, Colonel Turki al-Maliki, having expressed “deep sorrow” to civilians and “sincere sympathy” with their relatives, the coalition didn’t furnish any detail on member forces, who took part in the bombardment. 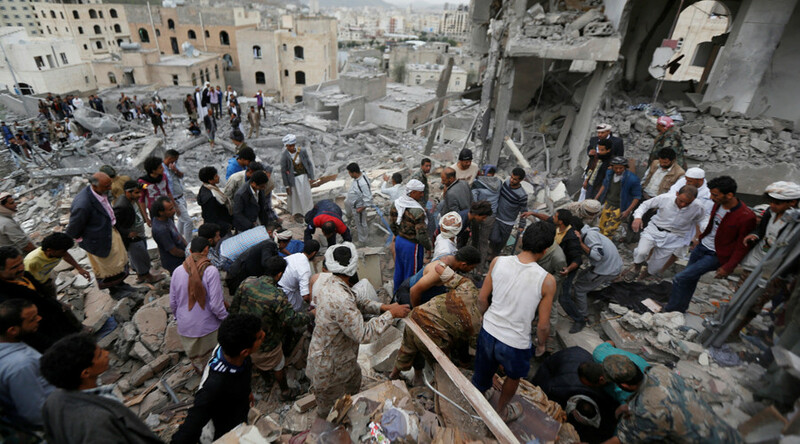 “No coalition member can claim clean hands in Yemen until all its members explain their role in scores of documented unlawful attacks,” HRW Middle East Director Sarah Leah Whitson argues in a statement accompanying the report. 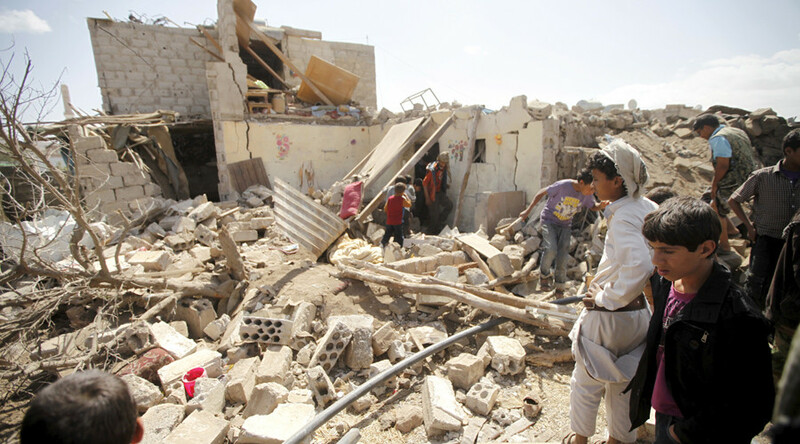 Saudi-led bombers keep killing Yemen civilians & covering up. Sixteen people were killed and 17 more wounded, including children, says one of the civilians, Muhammad Mea’sar, whose house was destroyed in the airstrikes on August 25. “Yemeni civilians who are paying the price of this war deserve far more than blanket denials or generic expressions of sympathy,” Whitson said. “UN member countries should make crystal clear to coalition members that they are failing to meet even basic standards for transparency, and that – as none of the warring parties seem willing to do so – the Human Rights Council will step in and make sure these violations are investigated,” she added. Bahrain, Kuwait, United Arab Emirates (UAE), Egypt, Jordan, Morocco and Sudan, with Saudi Arabia in the lead have been carrying out an aerial military campaign in support of ousted Yemeni President Abd-Rabbu Mansour Hadi since March 2015. The campaign targets the remnants of the country’s military loyal to former President Ali Abdullah Saleh and the Houthi rebels. The constant airstrikes have brought the nation to what the UN called “the largest humanitarian crisis in the world.” The extent of devastation is staggering. Since March 2015, the conflict saw 13,609 civilian casualties, including 5,021 killed and 8,588 injured, according to the UN Human Rights Office of the High Commissioner figures, which note, however, the death toll might exceed more than 11,000. The UN Office for the coordination of humanitarian affairs says some 20.7 million people need some sort of humanitarian aid, with 17 million, or 60 percent of Yemen’s population, suffering food insecurity. As Yemen turned into a fertile breeding ground for bacterial infections, an estimated 5,000 new cases of cholera occurs every day, with the total reaching half a million in August, according to WHO. The disease has already claimed 2,000 lives. An estimated 14.8 million people are feared to lack access to basic healthcare in the future, according to Doctors Without Borders (MSF). The bombings, including “scores that appear to violate the laws of war, some of which may be war crimes,” as HRW says, destroyed Yemen’s infrastructure, damaging the country’s already-crippled economy. With no end in sight for the conflict, HRW along with 56 other rights groups earlier called on the UN to look into alleged “violations and abuses of international human rights law and international humanitarian law,” committed both by the coalition forces and Houthi.